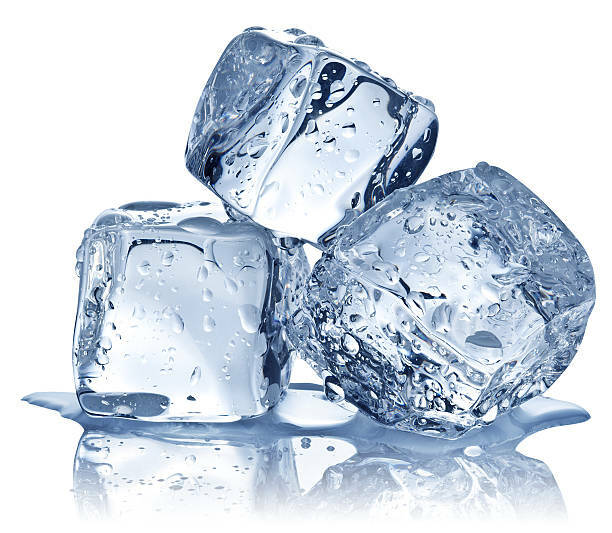 HomeUncategorized The importance of keeping ice machines clean – the cold hard facts! As strange as this may seem, ice is considered food in the food services industry and as such must be made, treated, stored and dispensed with the same consideration to possible food contamination issues. Even though ice is water and cold, ice and ice machines can provide a location for bacteria and a source through which contaminants can infect an environment or a person and cause sickness. As with food, following safety guidelines when making and handling ice is very important to reduce the chance of contamination and/or illness. In today’s food services environment, hygiene and sanitisation practices are well documented, recommended and should be closely followed to keep ice as clean and hygienic as possible. Manufacturers of ice machines strive towards designing and making their equipment resistant to bacteria so the resulting ice produced is safe. Stainless steel, self contained and sterile environments that are easy to clean are now the norm, as well as other antiseptic measures such as the use of antimicrobial surfaces and UV lights inside the ice bin that kill bacteria and germs. However, even the most sophisticated ice machine can be vulnerable and basic precautions should be followed in the preparation and use of ice in the workplace to ensure it isn’t a risk to your consumers or your business. A number of these precautions and good practices are outlined below. Only store ice within the ice machine storage bin so that there is no potential for contamination. Store the ice scoop outside the bin when not in use. Always be sure to wash your hands before handling ice or utensils that touch ice. All ice handling equipment such as scoops should be washed daily in the kitchen dishwasher and sanitised properly according to health department standards. If you need to store some ice outside of the bin, make use of dedicated containers that are labeled “Ice only” so that they are only used for that purpose. These should also be washed daily. By completely emptying and cleaning ice storage bins on a weekly or bi-weekly basis, you can reduce the risk of possible contamination. Since ice machines are cold and damp places, bacteria, moulds, and fungi can grow inside of them. Not only that, they can stay dormant for quite some time. The bare minimum for completely cleaning ice storage bin areas should be no less than once per month. Also, cleaning and sanitising the bin of an ice-maker will help eliminate odours and improve the taste of the ice. Read the ice machine owner’s manual thoroughly to know which cleaners and sanitisers to use. The manual will also give recommended guidelines for how often the machine should be cleaned. Completely clean and descale an ice machine once every six months by following the ice machine manufacturer’s instructions of by using a professional clean or hygiene services provider like Jaymak. Even if the machine is ‘self-cleaning’, consider additional cleans at least twice a year. A thorough six-month cleaning will ensure that the machine is free from built up scale, dust and other debris and will improve the effectiveness and lifespan of the machine. The ice will also taste better and there will be less chance of contamination. Note any warnings pertaining to the maintenance and cleaning of the ice machine in the manual. If these aren’t followed, you could potentially reduce your machine’s overall performance and ability to resist bacteria. Notably, you don’t want to damage any antimicrobial surfaces. Some manufacturers require specific cleaning solutions that are run through the machine then flushed out with water or a certain number of full ice cycles before the ice is safe for use once more. Consider routine microbiologic sampling of the ice and ice contact surfaces of the machine. Although this is not necessary, it can be an extra check to ensure workers are properly sanitising the machine. Water filters do an excellent job of keeping bacteria from getting in through the water supply, but if they are not maintained they can be worse than nothing. Always change the filter at the recommended intervals, and be sure to get one that can handle the hardness of your water as well. Vacuum around the coils and cooling unit to get rid of dust that is naturally attracted to these warm surfaces. Dust and dirt can clog a motor and over time will reduce its performance or even cause it to overheat and pose a potential fire hazard. Dust particles can also harbor dangerous bacteria. If your machine has a filter, be sure to either clean it to get out dust and debris if it is a permanent filter, or replace it with a replacement filter made for your model of machine. Store the ice machine in an area where cross-contamination is less of a possibility. Keeping an ice machine well enough away from stoves, refrigerators, and other kitchen appliances can help accomplish this. By following these steps, an organisation can prevent bacteria from getting into your ice and posing a risk to your customers and business. Employees should also be adequately trained to identify any safety concerns. Food safety is everyone’s responsibility, but a large obligation is placed on businesses. Help protect your business by regular maintenance of food and ice preparation areas including regular professional cleans. If ice smells or tastes strange in any way, or if a bacterial growth is noticed in the bin, throw the ice out and clean the machine. It is always better to be safe than sorry. Jaymak can help you keep your ice clean. Jaymak is a national franchisee network that provides professional cleaning and hygiene services including the cleaning, santising and maintenance of ice machines.